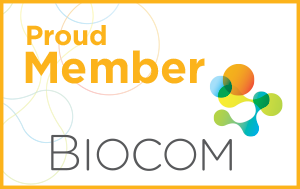 Biocom provides the strongest public voice for research institutions and life science companies that fuel the California economy. MassBio's mission is to advance Massachusetts' leadership in the life sciences to grow the industry, add value to the healthcare system, and improve patient lives. The Society of Toxicology is a professional and scholarly organization of scientists from academic institutions, government, and industry representing a variety of scientists who practice toxicology in the US and abroad. Life Science Washington is a trade association whose mission is to stimulate life science innovation, job creation, and ecosystem vibrancy across Washington state through engagement, collaboration, promotion, and advocacy. The American Society of Hematology is the world's largest professional society serving both clinicians and scientist around the world who are working to conquer blood diseases. The Boston Society is an internationally recognized organization dedicated to bringing the best scientific ideas to industrial practice through focused workshops and conferences.